The world's most successful companies drive growth with Intercom. Whether addressing a need in a specific part of your business, or seeking a communications solution that spans the customer lifecycle, Intercom’s got you covered. Your customers have more choices today than ever. The best brands are growing their customer base by taking an end-to-end view of the customer lifecycle, and focusing on delivering tailored messages that meet their customers where they are. 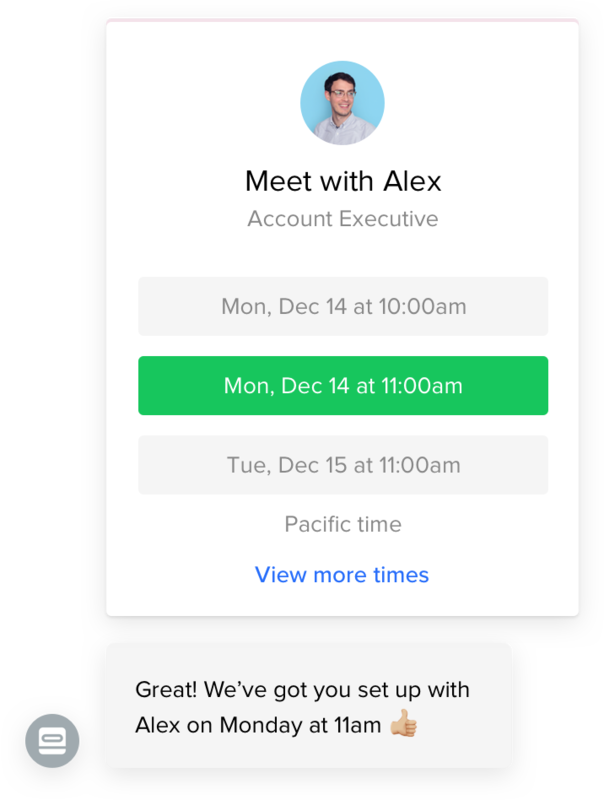 Intercom’s dynamic messenger, bot technology and robust data layer help make it possible. Customers today have more choices than ever. Intercom helps the best brands stand apart, through a dynamic messenger, innovative bot technology, and a robust customer data layer. 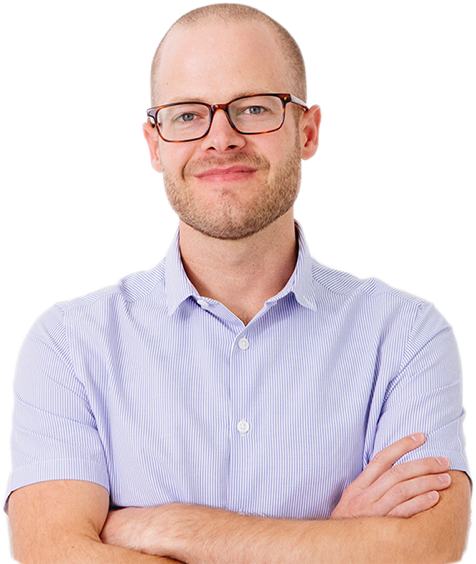 You’ve already done much of the hard work of driving traffic to your website. Intercom helps ensure you convert that interest into revenue, by engaging prospects proactively. 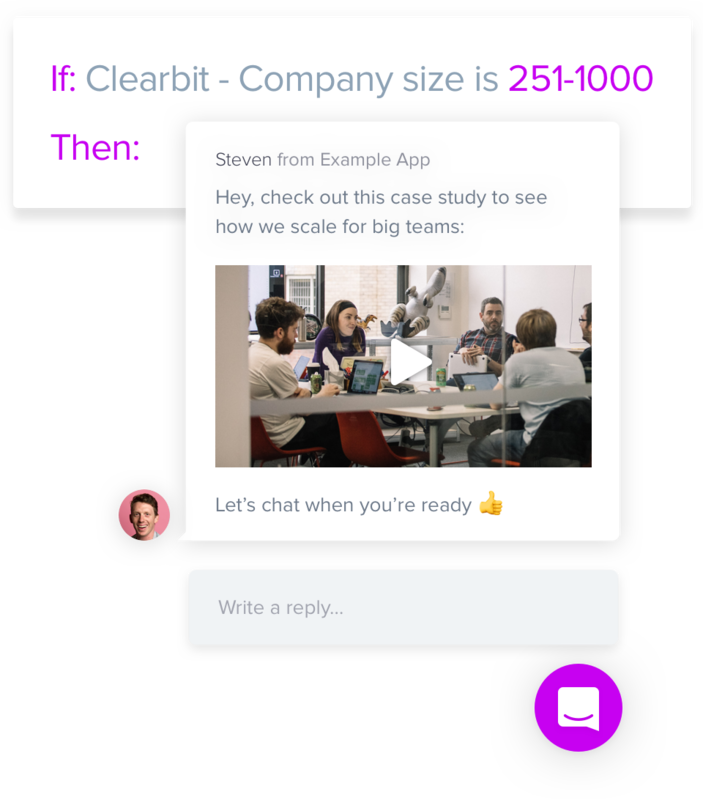 The Intercom messenger represents an untapped source of growth for your team, allowing you to connect with more visitors, do qualification in real-time and more efficiently route prospects. When you’re serving multiple segments, one-size-fits-all messages are impersonal and ineffective. Intercom gives you full access to your customer data to build customer segments, unlocking your ability to pursue different strategies for growing distinct audiences within your customer base. Advanced functionality like a/b testing and account-based marketing allow you to discover the message that resonates best, and deliver it to your most high-potential customers to drive growth. A recent study* found 92% of customers feel satisfied when using live chat. 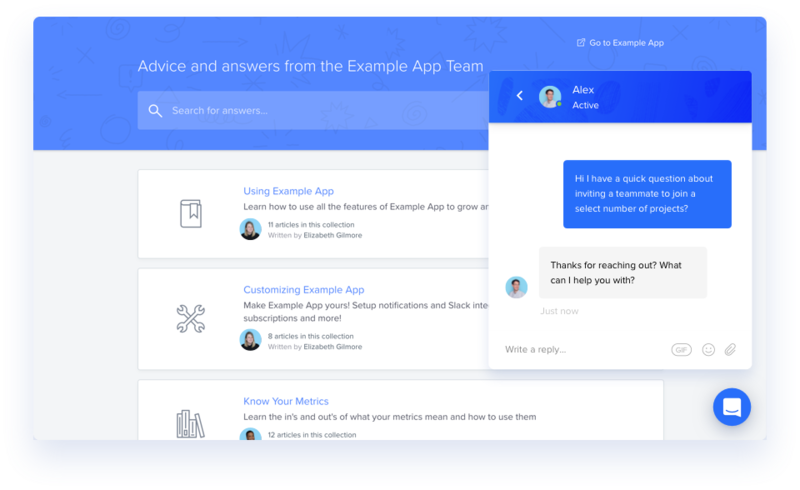 Intercom makes giving your customers what they want easy and cost-effective, providing you with data to accurately handle capacity planning and bot technology to automate responses to common questions. Whether you’re using Intercom as your end-to-end support solution, or as the messenger alongside your ticketing system, we help you create great experiences across the entire customer lifecycle. Intercom helps you turn interest into revenue by engaging your visitors in real-time on your website. Engage, qualify, and route your prospects 24/7 through live chat and automated interactions. 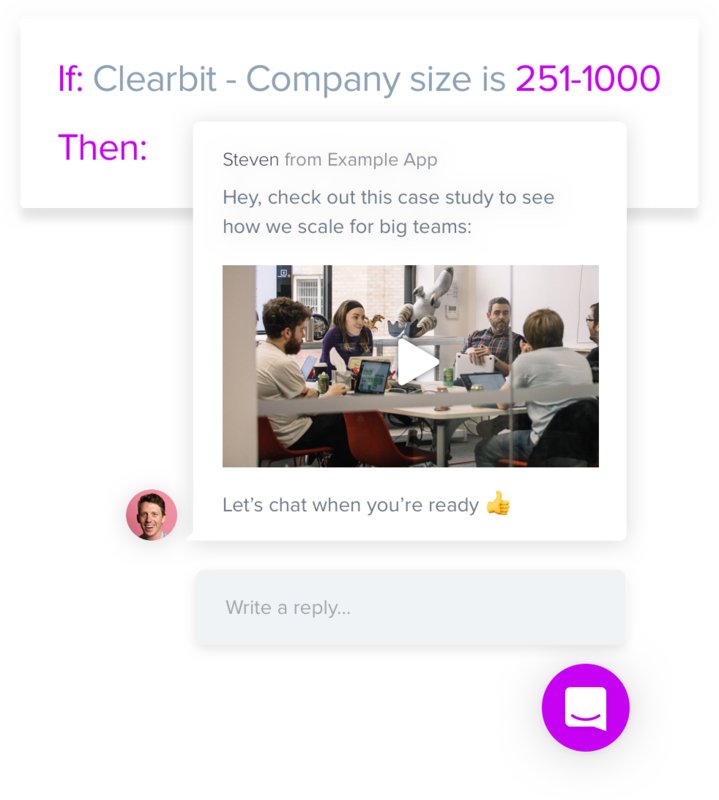 With rich customer data and tools for building segments, testing your message, and announcing new features, Intercom helps you drive growth through delivering the right message to the right audiences. 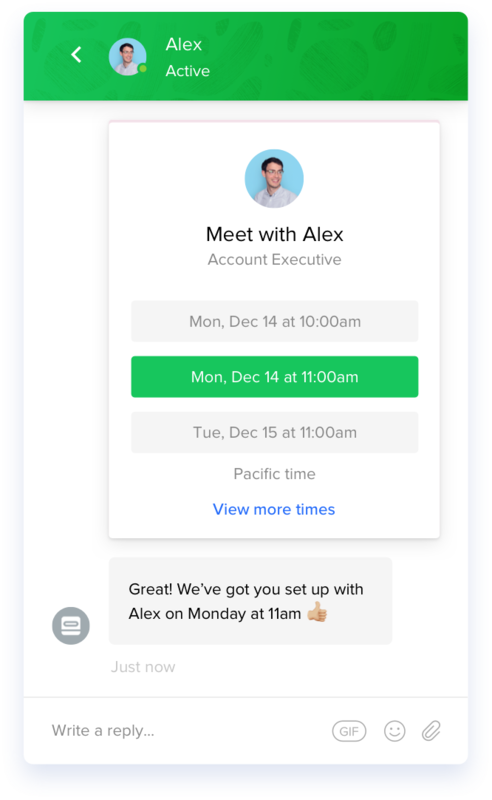 By combining real-time support with tools to promote self-service, Intercom helps your support team increase customer satisfaction while working more efficiently. Use Intercom as a standalone support solution or alongside your trusted ticketing system. 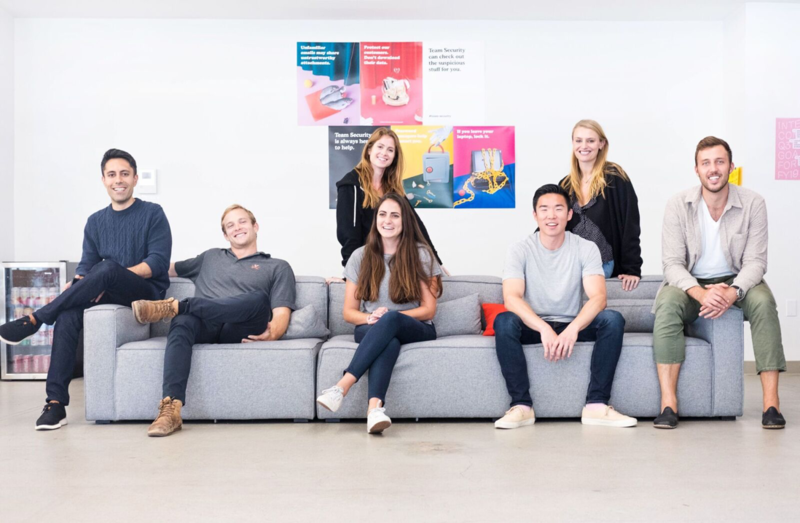 When you work with Intercom, you’ll have a dedicated account manager and access to our customer solutions team, providing best practices and industry insights to ensure you’re getting the most out of our product, and seeing tangible return on investment. When you work with Intercom, you’ll have a dedicated account manager and access to our customer solutions team, providing best practices and industry insights to ensure you’re getting the most out of our product, and seeing tangible return on investment. 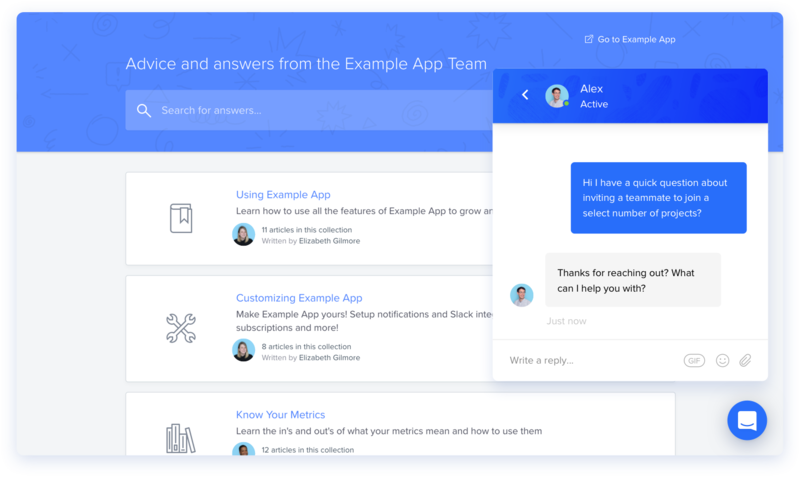 Your dedicated team will be available to answer questions, help you leverage new functionality to drive more growth and to help with new users as your team scales on Intercom. At Intercom, security and data privacy are core to everything we do. From GDPR compliance and data encryption, to two-factor authentication and teammate activity logs, our system is secure and reliable. Learn more about our security measures. We will reach out soon to get it scheduled.